Sapna has lost her parents at an early age and lives with her three quirky uncles - Bhola Nath is a fitness freak, Prabhu Nath is a deeply religious fellow and Vicky Nath is a disco-savvy dude. Sapna is fed up of their quirks and runs away to Europe where she meets Raja. Her purse is stolen and hence she has to depend financially on Raja. During the course of the tour they fall in love after much bickering. When Raja comes to know that to marry Sapna he has to convince her three uncles for their support, he sets off on his mission. 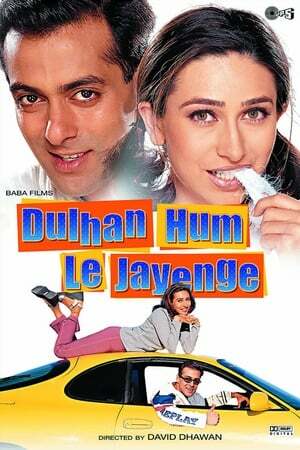 We don't have any reviews for Dulhan Hum Le Jayenge.